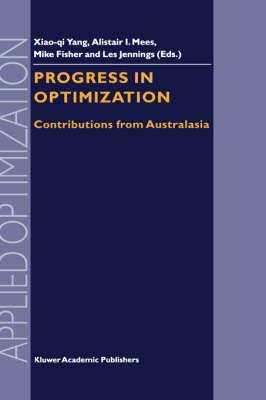 'Optimization Day' (OD) has been a series of annual mini-conferences in Aus- tralia since 1994. The purpose of this series of events is to gather researchers in optimization and its related areas from Australia and their collaborators, in order to exchange new developments of optimization theories, methods and their applications. The first four OD mini-conferences were held in The Uni- versity of Ballarat (1994), The University of New South Wales (1995), The University of Melbourne (1996) and Royal Melbourne Institute of Technology (1997), respectively. They were all on the eastern coast of Australia. The fifth mini-conference Optimization Days was held at the Centre for Ap- plied Dynamics and Optimization (CADO), Department of Mathematics and Statistics, The University of Western Australia, Perth, from 29 to 30 June 1998. This is the first time the OD mini-conference has been held at the west- ern coast of Australia. This fifth OD preceded the International Conference on Optimization: Techniques and Applications (ICOTA) held at Curtin Uni- versity of Technology. Many participants attended both events. There were 28 participants in this year's mini-conference and 22 presentations in the mini- conference. The presentations in this volume are refereed contributions based on papers presented at the fifth Optimization Days mini-conference. The volume is di- vided into the following parts: Global Optimization, Nonsmooth Optimization, Optimization Methods and Applications.